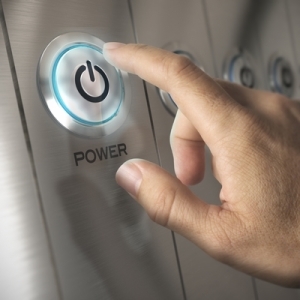 Data center power usage effectiveness, or PUE, is a calculation that is an essential part of determining how efficient a facility is and what improvements need to be made. The operating costs for data facilities are constantly rising and there is a constant demand from the powers above to cut costs and lower expenses but, for data centers, this is challenging. Data centers must continue to meet the demand of businesses, provide mission critical services, maximize uptime and protect information but with the constant pressure to cut costs. How, with technology constantly evolving and needs constantly changing, can a facility manager assess its own efficiency and effectiveness and make adjustments to continue to improve without diminishing its ability to perform? Data centers have been calculating their PUE in an attempt to do so for a long time but those calculations can be a bit challenging and inaccurate so – what is the best way to calculate PUE for each individual site? When calculating PUE, a location must look at how much power is being used by servers, storage equipment, network equipment, other IT equipment, cooling and so much more. A PUE calculation is a specific metric that can serve as benchmark for data centers and, after the first calculation, future calculations can be used to compare whether improvement is happening or not. The trouble is, some calculations are inaccurate. Data Center Knowledge explains how to improve calculations to ensure accuracy, ” While PUE has become the de facto metric for measuring infrastructure efficiency, data center managers must clarify three things before embarking on their measurement strategy: There must be agreement on exactly what devices constitute IT loads, what devices constitute physical infrastructure, and what devices should be excluded from the measurement. Without first clarifying these three things, it can be difficult for data center managers to ensure the accuracy of their PUE… The first part of this methodology is to establish a standard to categorize data center subsystems as either (a) IT load or (b) physical infrastructure or (c) determine whether the subsystem should be excluded in the calculation. While it’s fairly simple to designate servers and storage devices as an IT load, and to lump the UPSs and HVAC systems into physical infrastructure, there are subsystems in the data center that are harder to classify…. Some devices that consume power and are associated with a data center are shared with other uses such as a chiller plant or a UPS that also provides cooling or power to a call center or office space. Even an exact measurement of the energy use of these shared devices doesn’t directly determine the data center PUE, since only the device’s data center-associated power usage can be used in the PUE calculation. One way to handle this is to omit the shared devices from the PUE, but this approach can cause major errors, especially if the device is a major energy user like a chiller plant. A better way to measure this shared device is to estimate the fraction of losses that are associated with the data center, and then use those losses to determine the PUE… While every device in the data center that uses energy can be measured, it can be impractical, complex, or expensive to measure its energy use. Consider a power distribution unit (PDU). In a partially loaded data center, the losses in PDUs can be in excess of 10 percent of the IT load. These loss figures can significantly impact PUE, yet most data center operations omit PDU losses in PUE calculations because they can be difficult to determine when using the built-in PDU instrumentation. Fortunately, the losses in a PDU are quite deterministic and can be directly calculated from the IT load with precise accuracy if the load is known in either watts, amps or VA. In fact, this tends to be more accurate than the built-in instrumentation approach. Once the estimated PDU losses are subtracted from the UPS output metering to obtain the IT load, they can be counted as a part of the infrastructure load. This method improves the PUE calculation, as opposed to ignoring PDU.” These guidelines will help data center managers determine a specific plan to calculate PUE. By adhering to the pre-determined PUE calculation method, results will be more accurate across the board and over time so that progress can be seen and further improvements can be made. This entry was posted in Data Center Battery, Data Center Design, data center equipment, Data Center Infrastructure Management, DCIM, Power Distribution Unit and tagged data center design, data center equipment. Bookmark the permalink.